I think Wild Turkey is in my blood. The amber goodness has been a staple adult beverage in my family for as long as I can remember. So when I saw that Wild Turkey was making a honey version I flipped. 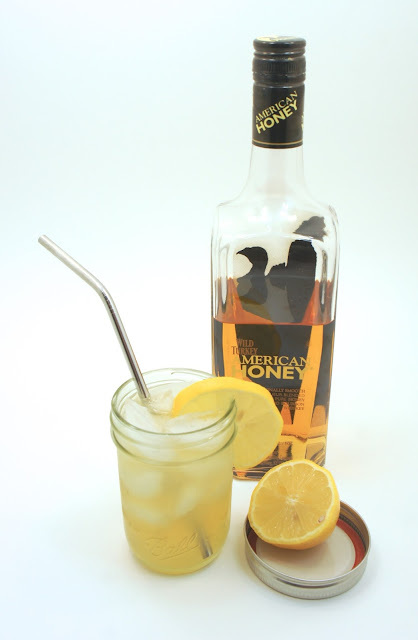 Wild Turkey Honey is a ladies sipping version of bourbon. No, I am not saying that we can’t take it straight, but.. my husband and father hate it. It is really sweet and you have to be in the mood for it. I have not been in the mood for it lately and was looking for something citrusy to drink. I had seen an article in a magazine recently that used bourbon, lemonade, and honey to make a drink. Well, I already had the honey bourbon and just added the fresh lemon juice. It’s a two ingredient drink that tastes like you needed to put in a lot of effort. Fresh lemon juice is a must. The bottled stuff is not acceptable. I used Wild Turkey, but I know some of their competitors are also making honey versions. Some are more syrupy, others have a stronger bourbon content. Have fun taste testing and choose what you like. Pour ingredients into a rocks glass filled with ice. 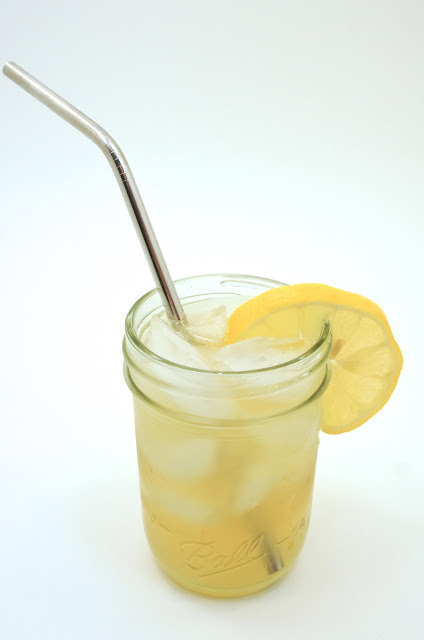 Stir, dress with a lemon and serve.